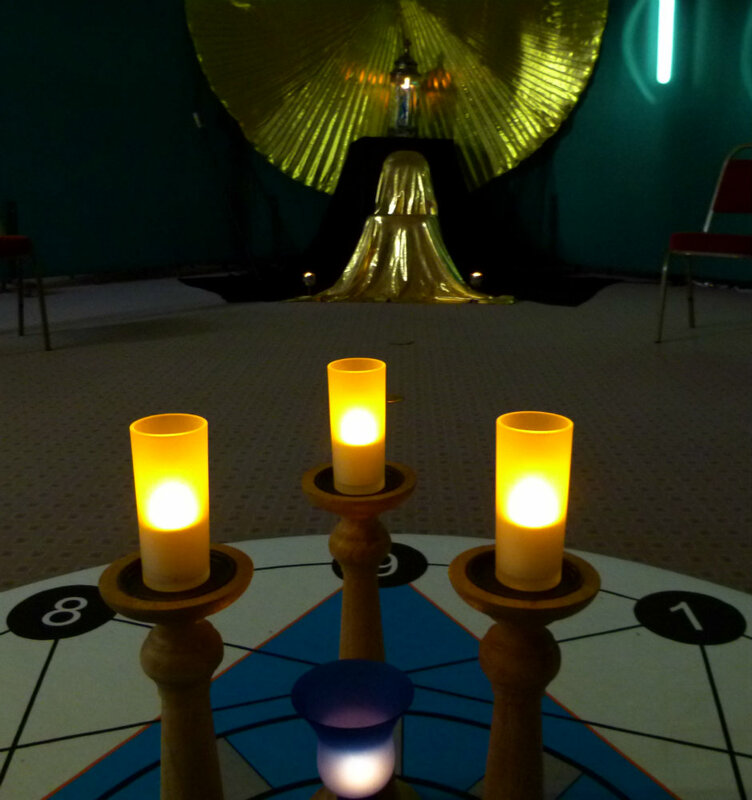 Jan Malique, our Vessel of Hathor for the River of the Sun, has kindly given permission for us to share her thoughts on the ritual weekend. Jan is a Comapnion of the Silent Eye and this was her first time at one of our workshops. Thank you, Jan.
Where to start dear reader? At the beginning perhaps. This was my first Silent Eye open workshop – The River of the Sun, I was enrolled upon the Foundation Triangle course and standing at a crossroad seeking clarification. It was a strange time, spiritual doubts and a desire for introspection propelled me forward towards the doorway the weekend offered. Shall we say I had become a little disappointed with the “magical scene”. A true magician rises above ego, refrains from intellectual snobbery and becomes a living conduit for the Higher forces to come through. Or so I believed. There was something missing, so a step back was necessary to restore faith. Time to don the Pilgrim’s simple robe and start a new quest. The Silent Eye School beckoned over the Horizon. The Mystic within me cried out to be heard. It was to be an important move for me. The River of the Sun offered me the chance to re-engage with my beloved Khem and its neters, possibly touch the mind of Egypt and perchance glimpse the Soul of this great nation. The weeks leading up to the weekend of the workshop flew by, I was excited and feeling a little overwhelmed to be honest. The workbook blew my mind, an incredible amount of time, effort and research had gone into manifesting it. Interesting. This boded well for the encounter with my fellow Companions, a few who were familiar from past encounters. The great River of Life flowed around me, I was part of it and yet removed. This workshop was multi-layered, involving complex spiritual, mystical, magical and psychological themes. Both sacred and profane seeking and finding great truths. I believe it achieved its purpose. There was powerful magic manifesting in this temple, as the saying goes “As above, so Below”. Being given the privilege of being a Vessel of Hathor was rather significant for me. The Sunday of the weekend was also the first anniversary of my father’s death. The gods move in mysterious ways…This weekend was also an opportunity to heal the connection between myself , Isis and Osiris. It had never been an easy relationship and perhaps I could now move forward into a better space. I have never believed in blind devotion to either anything or anyone, one’s faith must be tempered by a balanced outlook and a questioning mind. Within the space of our temple we were faced with the Divine, the Whole, Being itself. A mirror was being held up, one which had to be faced in order to see the True Self. One must never underestimate the effect such sacred dramas have upon the psyche and energetic systems, quite profound experiences at times. It ended all too soon and we journeyed to our lives in the outside world. Which is no bad thing, for it is in this outer world that we perform our real work. We no longer have our beloved temples of old, their time has gone and we the priesthood have been sent out into a far different world to manifest our work. Thanks for this piece Jan, the river of the sun is indeed the river of life.